Having aching muscles or stiffness in your body? There’s a way to help you unwind – a body massage. The world of massage has many options to explore and one of the most recommended is the massage chair – a product specially engineered to provide the convenience and effectiveness of an automatic body massage right in the comfort of your home. Everyone wants the best in any product and massage chairs are no exception. This article reviews the best models and goes further to give a detailed buying guideline that will help you choose the best massage chair that the market has to offer. "L-Track Kahuna Massage Chair comes with automatic programs that are based of Shiatsu therapy. There’s a total of 6 automatic message programs. These are Rejuvenate, Yoga, Relax, Deep Tissue, SV-Chiro and stretching." "Valued Massage Chair supports both automatic and manual functions. The automatic function provides the convenience of a multi-functional massage by combining the different massage methods. The manual mode gives you full control over the massage process." We have a multi-stage selection criteria based on customer reviews, product rating, expert opinion and extensive tests done on each massage chair. 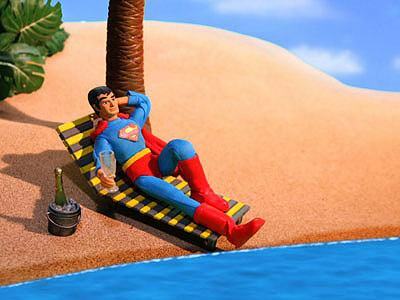 The reviews and ratings are compiled from different sites. We make a comparison and select the products that have the most positive reviews and highest average rating. We factor in expert opinion, and in our case, we’ve got 3 massage experts with over 5 years of massage experience. The last step is to test the products manually, where we choose a group of volunteers to try the different models and ask for their opinion. It’s this extensive, multi-stage process that helps us rank the massage chairs and identify the best on the list. The world of massage chairs has lots of options to offer. Below we explore the different types of massage chairs and the special features they have to offer. 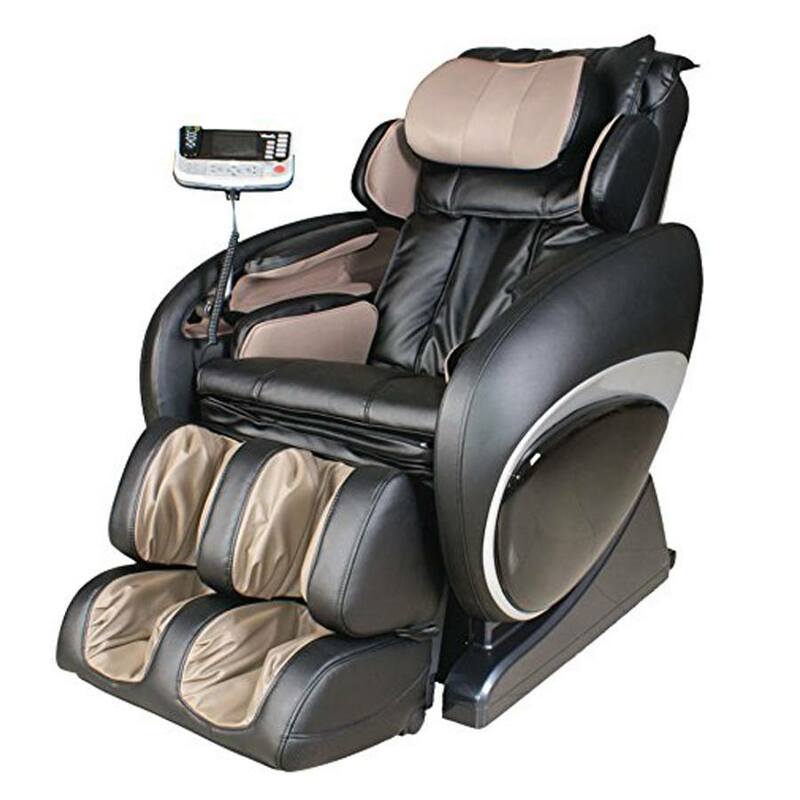 This type of massage chair is used to provide great relief on virtually all areas of the body. These include the neck, back, shoulders, feet and calves. Newer versions go further to massage the hands and arms. 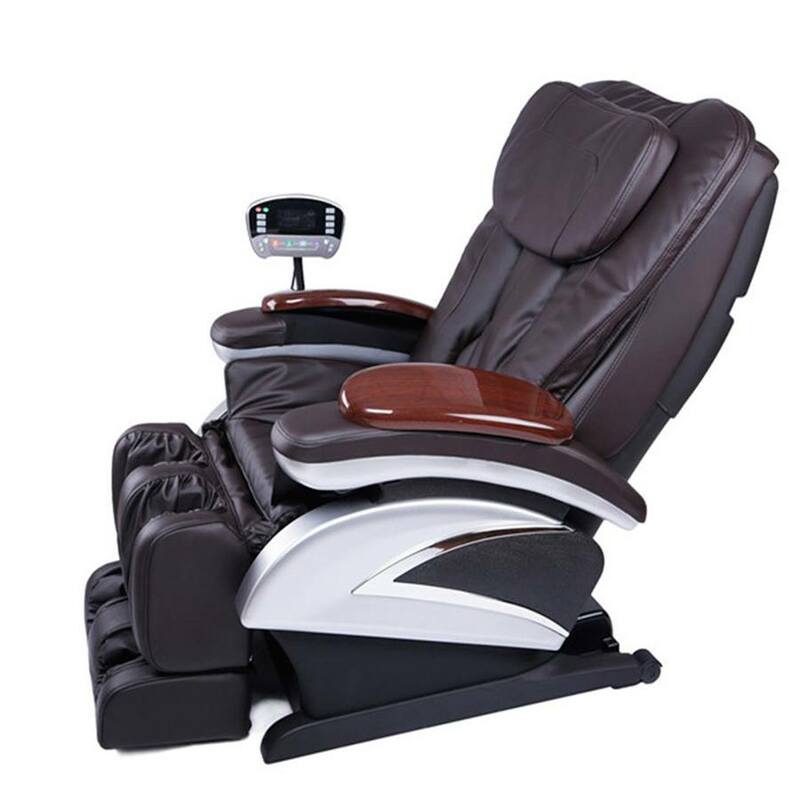 Some full body massage chairs are designed to provide the convenience of easy customization. This type of massage chair is designed to sooth the upper body. These include the neck, shoulders and arms. They’re less expensive compared to the full body massage chairs. These chairs provide a soft and soothing massage using a series of air bags. They’re designed to accommodate areas not usually covered in other types of massage. These include the arms, hands, legs and feet. Some of them come in combination with a roller system that works to massage the back. These chairs provide an inclined, zero-gravity position that functions to provide correct and healthy spine alignment. The exceptional ability to restore posture makes these chairs a great choice for the back. Heat therapy massage chairs are specially engineered to eliminate soreness, tension and promote internal healing. They’re one of the most extensively used in massage parlors. What’s so special about the massage chair that gives it an edge over the traditional massage methods? Well, massage chairs are known to have great health benefits. Below, we explore the different health benefits that a massage chair has to offer. Massage chairs are designed to improve posture and balance. This is achieved through several strokes that target specific muscles to relieve pain. This benefit is provided by a reclining massage chair. The chair supports the back in a horizontal position to align the spine and eliminate undue pressure on the nerves. A massage chair is designed to relieve stress in order to prevent sleeplessness, increase appetite and regulate blood pressure. A massage chair works to relax the muscles, a feature that allows blood to flow to the tissues and organs. The increased circulation serves to promote healing and facilitates removal of toxins. Massage chairs stimulate secretion of endorphins to enhance immune response and provide a feeling of well-being. Endorphins function to minimize the effect of stress and to reduce the perception of pain. 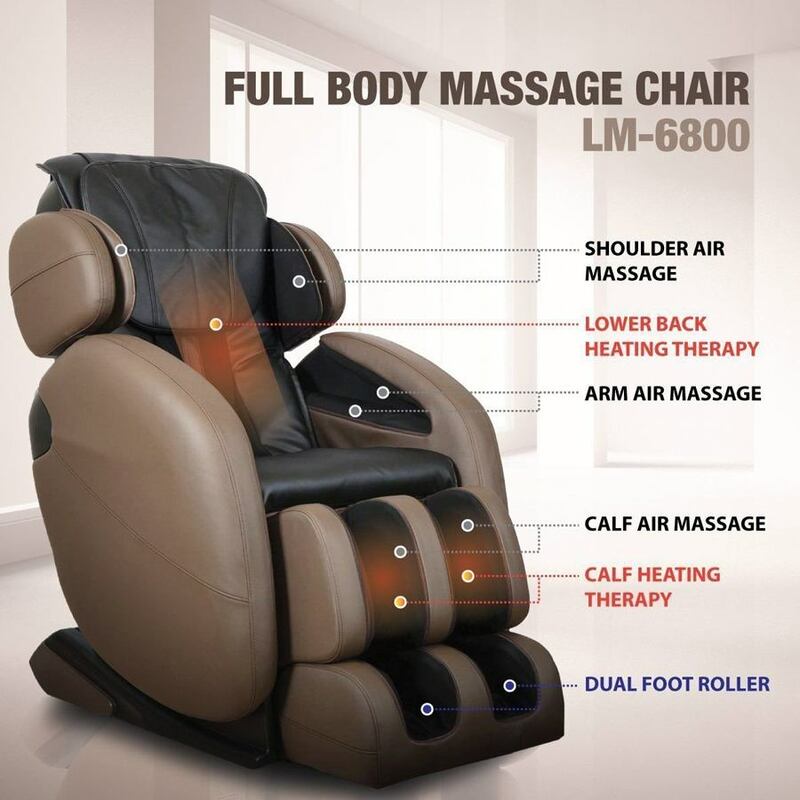 Get immersed in the world of luxurious massage with this quality massage chair. The chair is specially engineered to provide deep therapeutic massage that relaxes the whole body while melting away daily stress. * Massage techniques: This chair has different massage options that make it a more versatile choice. These are Rolling (direct and effective massage that stretches the back), Kneading (achieved by 6 stimulating balls that minimize muscle pains), SHIATSU (relax stressed muscles and reduce fatigue), and Vibrating (function to relax blood vessels for improve circulation). * Control panel: This massage chair provides the convenience of a one-touch control panel. It makes it easier to access and choose from the 4 auto programs available – Recover, Relax, Extend and Refresh . * 3-stage Zero gravity positioning: The chair provides the convenience of a true gravity positioning adjustable to 3 levels. The adjustments are done with the touch of a button for optimal massage and maximum comfort. * 32 airbags: There are 32 therapeutic bags built into the arms, shoulders, calves, foot and seat area. * 3D Intelligent Hands: This chair is designed to provide longer massage aided with 3-D intelligent detect hands that are muted for quiet operation. The chair provides up to 30 minutes of uninterrupted massage. 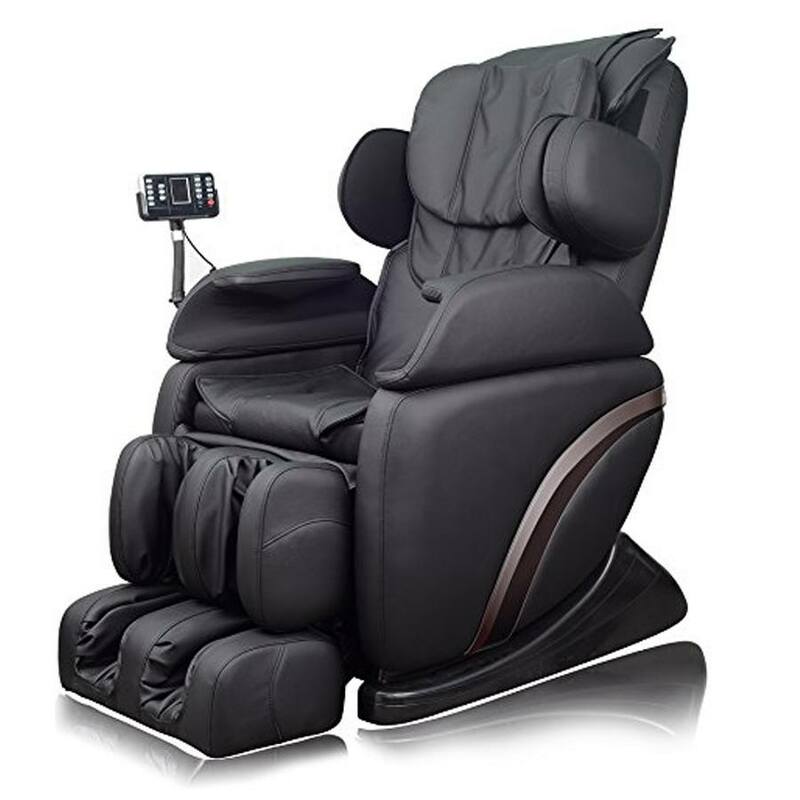 This massage chair is for those that want a longer, uninterrupted full-body massage that provides the convenience of a built-in heat therapy and true gravity positioning. The chair sports a synthetic leather upholstery that requires regular wiping and dusting with a damp cloth. You can also choose to use mild soap solution to dampen the cleaning cloth. The technical issues include power surge to the motherboard. This can be prevented by incorporating a surge protection. The chair is prone to overheating in case it exceeds the maximum run time of 30 minutes. Therefore be careful not to exceed the recommended time and allow for a 10 minute rest between massage sessions. Defective items are inspected and provided with a replacement component. If the whole chair is found defective, then a new chair will be sent. The chair comes with a 3-year warranty that covers the steel frame, body and all electronic parts. Best Massage 06C massage chair eliminates the need to go to a massage parlor to get a full-body Shiatsu massage. This fully automatic massage chair is equipped with updated features designed to provide powerful and realistic body massage. * Massage techniques: The chair has 4 massage options. These are Rolling, Kneading, Shiatsu massage, Vibrating massage, Compression and Percussion. Each option has a different health benefit and work together to alleviate stress, improve posture and make the body feel more relaxed. * 30 built-in air bags: The 30 built-in bags provide a soft fatigue relieving air massage. 10 bags are located in the upper body while 20 are located in the lower body to massage the legs, feet and thighs. This air massage is adjustable to 2 different levels – strong and weak. * Intelligent roller system: This system comprises of wheel-driven massage hands designed to provide quiet humanized massage. It automatically detects pressure points to ensure you get an effective and complete full-body massage. * Ultra-Long range massage: This chair is among the few models that provide the convenience of an ultra-long range massage. It massages your body down from the tailbone section and moves up to the neck area. This chair is a perfect choice for those that want a full-body Shiatsu massage with multiple preset programs. Conforms to natural body contours. This massage chair requires regular cleaning to remove any dust that may interfere with the electronic components. This chair is prone to overheating and damage due to power surges. It’s recommended that you install a surge protector and avoid using the chair past the recommended time. The manufacturer offers free repairs within the first year of purchase. This massage chair comes with 1-year warranty that covers all parts. This is an upgraded massage chair that provides the convenience of a space-saving design. It’s a high-end model designed to be durable, effective and more comfortable. It’s a full package equipped with the latest features and specs to provide the ultimate massage experience. * 6 automatic programs: This massage chair comes with automatic programs that are based of Shiatsu therapy. There’s a total of 6 automatic message programs. These are Rejuvenate, Yoga, Relax, Deep Tissue, SV-Chiro and stretching. * Special yoga program: As mentioned above, the chair has a yoga program, which is a favorite to many users. The program provides gentle stretching and lasts 30 minutes. * Body scan technology: This massage chair is equipped with a computer body scan system. The system functions to scan and detect the body size in order to provide an enjoyable, custom fit body massage. * 2-stage Zero Gravity Positioning: This chair provides 2 zero gravity positions designed to make you feel virtually weightless. It allows your weight to be uniformly spread in order to relieve stress and provide an intense, deeper massage experience. * L-Track Massage System: This system is designed to provide great decompression and long-range support to the neck, back and buttocks. * 36 built-in airbags: This chair is equipped with 36 built-in airbags that sport a double-layered design. The airbags provide the right amount of stretching to the hips, shoulders and thighs. This is a full-body massage chair for those that want a space-saving, residential massage chair that fits persons who are 5’0” to 6’4” tall. This chair requires vacuuming and dusting on a regular basis to protect the sensitive electronic parts. The chair overheats when run past the recommended time of 30 minutes. Allow for 10-minute intervals between each session to prevent this. Quick replacement of faulty chairs and free labor services within the first year of purchase. The chair comes with a 3-year limited warranty for all parts, structural framework and labor. The Five Star FS8812 is a relatively low-cost massage chair that provides you with a multitude of functions. This is a vibration massager only, no rolling balls.10 vibration motor, invigorating massager for the neck, shoulder, back and thighs with soothing heat for the lower back area. Hand control unit, 3 massage speeds, 4 massage programs, independent heat on/off button. * 10 vibration motor, invigorating massage for the neck, shoulder, back and thighs with soothing heat for the lower back area. 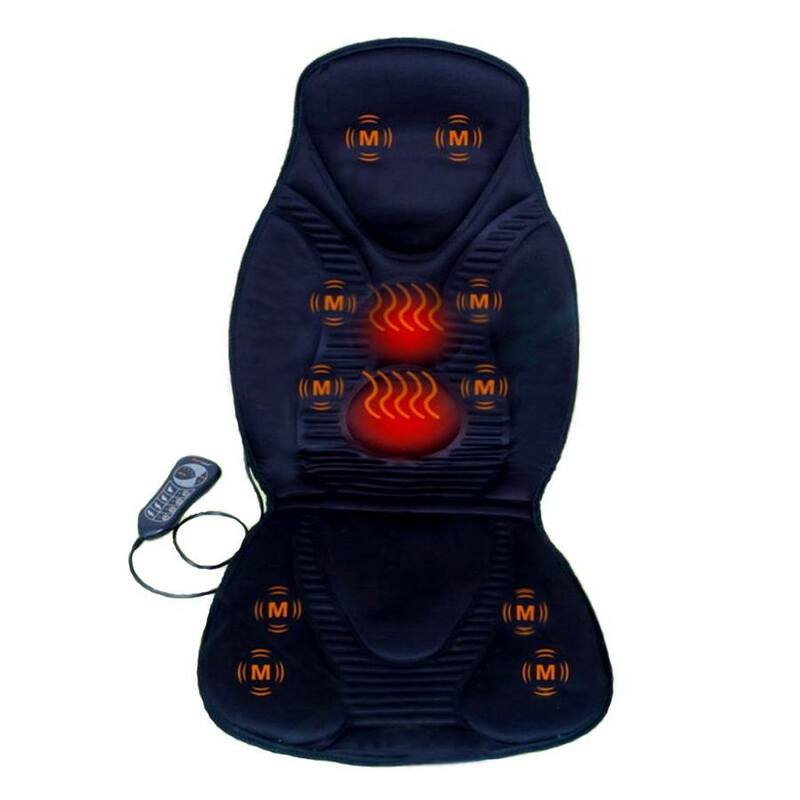 ​* Hand control unit, 3 massage speeds, 4 massage programs, independent heat on/off button. * Portable for home/office/car, Car adapter and AC adapter included, Automatically shut down in 30 minutes. * Product dimensions: 43″ x 19″ x 2″. 4 push buttons to select the 4 zones: M1 – Neck/Shoulder/Upper back, M2 – Middle back, M3 – Lumbar/Lower back, M4 – Thighs. Each of these zones can be selected by pressing the corresponding button for a concentrated massage on any one zone or any combination of two, three, or all four zones. Car adapter included. 110-220V AC to 12V DC adapter included. Dust the chair regularly and avoid contact with harp objects as it may puncture the leather upholstery. The chair overheats if overworked. Ensure to run it within the stipulated time period. Customer satisfaction guaranteed: 30 days refund, no question asked. . This massage chair comes with a 3-year warranty that covers the parts and structural framework. Osaki OS-4000 stands true to the Japanese ingenuity in the world of massage chairs. It’s an executive, luxurious model that comes full packed with innovative features that make it worth every penny spent. This massage chair is designed to focus on the lower and upper body. It provides the convenience of a body scan technology and a 26-inch stroke. * 2-stage Zero gravity design: This feature helps take pressure and stress away from the spine. It relieves muscle tension and provides correct spine alignment. * 6 massage techniques: There are 6 massage options to choose from. These are Rolling, Kneading, Shiatsu, Clapping, Combo and the famous Swedish massage. * 3 adjustable width settings: This is among the few massage chairs that provides the convenience of adjustable width. There are 3 different settings to choose from; Narrow, Medium and Wide. * Automatic timer: This chair comes with a timer that can be set from 5 to 30 minutes. This is a great feature that helps prevent the machine from overheating. * 32 airbags: There are 32 built-in airbags designed to provide soft massage from the neck all the way down to the feet. * Ergonomic S-track technology: This technology lets the chair conform to the natural curvature of the human spine. This helps provide maximum support to the neck and lumbar area. * 5 intensity and speed settings: The intensity and speed of the massage can be adjusted to 5 different settings. This provides great customization and ultimate massage experience. The settings are accessible through a user-friendly LCD display. This massage chair is a great choice for those that want to relieve pain and stiffness in the lower and upper body. Heavy parts make assembly quite difficult. Wipe clean with damp cloth for easy maintenance. You can use a vacuum to extract dust that is deeply embedded in the chair. Power surge is a major issue in massage chairs. This model is no exception. It needs to be installed with a surge protector. The manufacturer provides free in-home service within the first year of purchase. Want to make smart use of your money when it comes to massage chairs? Well, join me as I walk you through the factors that will help you get the best massage chair at a reasonable price. The best massage experience is the one that lasts for at least half an hour. Therefore, go for a massage chair that has a massage session that lasts for 30 or more minutes. This will help you get a total massage experience. Most people believe that there’s no good massage chair for less than $2,000. Well, that’s not totally true. You can get a quality massage chair that costs less. Just ensure it’s of high quality and designed by a highly reputable brand. There are multiple brands in massage chairs. But most of the products they manufacture don’t perform as advertised. Therefore, go for brands that provide the best quality. In general, Japanese brands manufacture better massage chairs than other non-Japanese brands. A good massage chair comes with after sales services. These include free repair and replacement services. Ensure to check the product manual to see whether such services are provided. A warranty is a good guide to determining the quality of a massage chair. Therefore, go for a massage chair that comes with a warranty to help cover defective parts and labor. 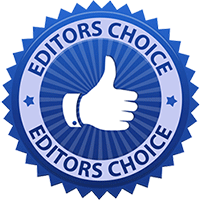 Before winding up our best massage chair review, I would wish to make my selection from the above reviewed models. I know you may not agree with my selection, but trust me, it provides the best value for the price. In my opinion, Space Saving L-Track Kahuna Massage Chair Recliner tops all the other models. This massage chair is medically approved and comes in a complete package that provides ultimate massage experience. It’s the only product that includes the yoga function and has the most generous warranty among the reviewed models. Moreover, this is a massage chair that fits in many homes, thanks to its space-saving design. I recommend it to anyone in need of a high quality, space-saving massage chair that provides complete body relaxation. Q: What’s the best place to buy a massage chair? A: You can buy from the brand’s website or at Amazon. Q: How do I get the most out of my massage chair? A: Getting the most out of your massage chair requires good maintenance of the product. Q: How do I contact the manufacturer? A: The product manual comes with the manufacturer’s contacts. Q: Which massage chair would be best for me? A: It depends on your needs but generally a full-body massage chair is most preferred. Q: What are the best brands to consider? A: There are many quality brands but Japanese brands are the best. Q: How long does a good massage chair last? A: It lasts for at least 20 years under normal use. Q: What’s a 3D massage chair? A: This is a massage chair that comes with “massage hands”. Q: What’s a Zero Gravity massage chair? A: This is a chair that provides correct spine alignment and makes the body feel virtually weightless. Q: What’s the best upholstery for a massage chair? A: The best upholstery is leather since it’s durable and much easier to clean. Q: How much power do massage chairs use? A: A massage chair uses an average of 200 watts, which is quite low than that of a monitor computer. Sammy Wamalwa is a university graduate who is now engaged as a freelance writer and researcher. He has a great passion in the health and fitness industry and has reviewed many health products, including massage chairs.